In today’s fast-changing business environment, broadcast, media and entertainment companies need to be extremely flexible and efficient throughout the whole cycle of creation, management, and distribution of content. Resources are limited and expensive – cameras, crew, lighting, sets or sound equipment, all need to be tracked and coordinated to deliver the highest ROI. Post-production is a complex area – disruptive technologies, new distribution channels, and demanding customers make content acquiring, storing, editing, transcoding, and sharing a very tough process. 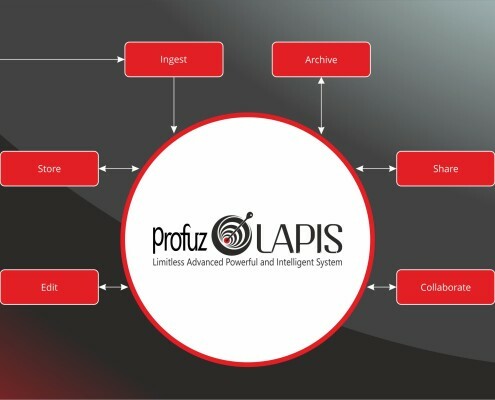 Developed to solve those challenges, LAPIS is the software hub which connects CONTENTS, EQUIPMENT, NEWS, PROJECTS, TASKS, RESOURCES, PURCHASES, SALES, TV CHANNELS PROGRAM SCHEDULING, MANAGEMENT, AND DELIVERY and provides a central way of searching, collaborating, reporting, managing, and tracking of all the information and processes in a single environment. It tirelessly gathers, handles and schedules the materials needed for the broadcasting and manages the accompanying internal and external tasks, projects and processes. Unlike other technology producers who aim to tie up their clients with single vendor dependencies, we offer the freedom to dynamically benefit from a variety of industry-specific technologies while retaining the advantages of using a single system. 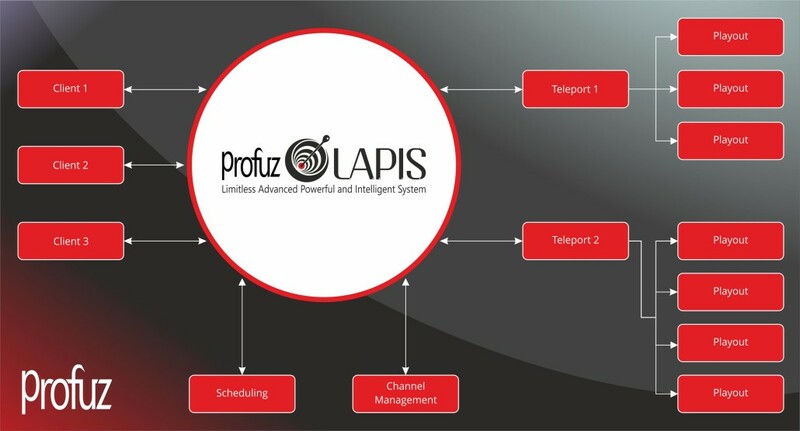 Seamlessly connect any system to LAPIS without loss of information, process interruptions or staff resistance. The unique design of the system allows us to easily configure the system to meet the specific needs of your business and to connect with every dot (people, data, processes) within and outside the organization. 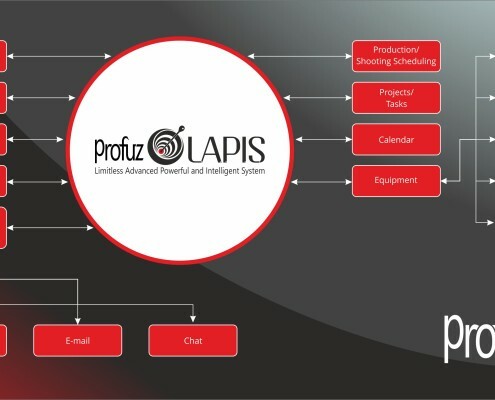 The architecture of LAPIS allows us to significantly reduce critical resources such as time, qualifications and maintenance throughout the whole life-cycle of the system which leads to many benefits such as fast deployment, friendly configuration, “zero” learning curve, and quick adaptation. Efficiently coordinate the various moving parts of your projects to save time and money. 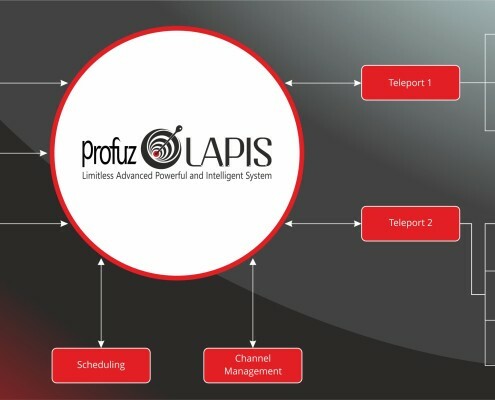 LAPIS helps you connect everyone and everything involved to reduce errors and increase productivity. Manage equipment (vehicles, video, audio, lights, costumes, props), crews, castings, tasks, shooting locations, production/shooting schedule, and automate workflow. Organize your content with LAPIS – ingest, store, archive, review, approve, edit, and share your content. Post production is one of the most complex areas of the business. Keep your business up to date with industry trends. 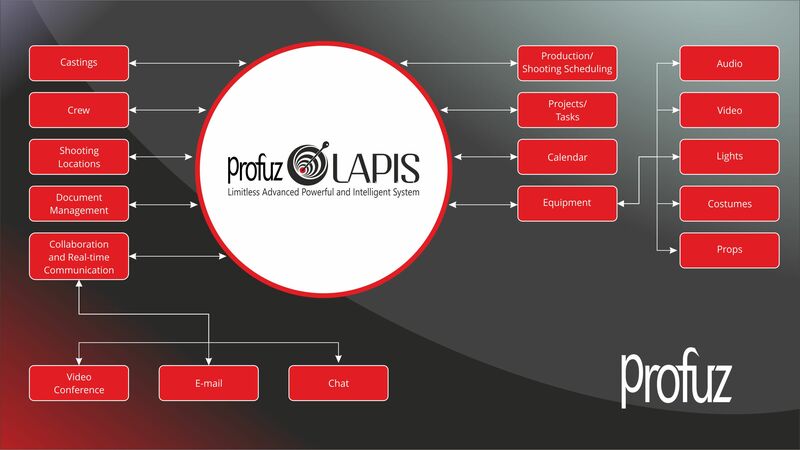 LAPIS was built to be easily and seamlessly connected to external tools to answer any custom need. Playout and uplink are critical and require well connected 24/7 support. Many prefer to outsource that part of the business in order to optimize costs, guarantee performance and focus on their core business. 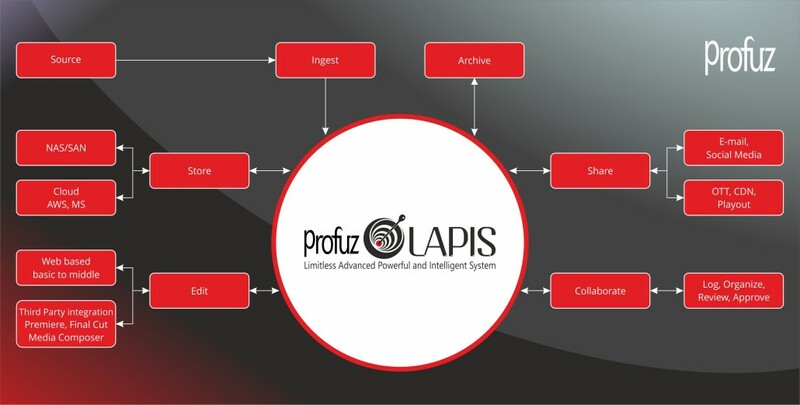 Playout service providers can greatly benefit from the ability of LAPIS to easily connect to different systems. Manage content of all your clients through a single interface. Increase business efficiency and profit by managing all activities – financial, supply, manufacturing, operations etc. Organize and track interactions with potential or existing clients, partners, agents and other contacts. From simple tasks to complex project management. Secure document storage, online multi-user editing and custom document workflows are just a few of the advantages. Automate, manage, organize, search, share your digital content in an intelligent way without the unnecessary transfer of large files. Parallel search in all connected internal and external systems with real-time result updates and live collaboration for search sessions. Design, build, and run flexible business and automation processes. Both industry-specific built-in automated workflows and user-definable workflows. Use internal and external operations or monitoring and statistics to trigger actions. Manage the entire process from content creation to publishing, and enjoy reduced time to market. Streamline multi-channel publishing and benefit from features like scheduling, assembling, approval, versioning and more. Make informed decisions. Turn data into insights across all aspects of your business. Identify new opportunities and implement effective strategies. Stop money leaks – protect your content, encrypt your files and manage who’s viewing, downloading or copying your content. Every element in the System can be edited, reviewed, discussed, approved, shared or otherwise managed collaboratively through the Live Collaboration feature. Video conferencing, private and group chats, comments, email access. Use built-in and external communication channels. Never miss a beat, stay up-to-date with the content you need and reduce noise. With the intelligent search mechanism, you can create custom searches, save them and get real-time result updates. Parallel search in all connected systems – your private business content or web services.